To enhance the knowledge and skills of the veterinary technician through continuing education and seminars. To promote the interests of veterinary technicians through State and Federal legislation. To promote and maintain the professional image, and high ethical standards of the veterinary technician. To promote progressive and humane medical care for all creatures through the high quality care provided by veterinary technicians. 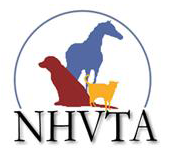 The NHVTA is a membership association of veterinary technicians in the state of New Hampshire, offering continuing education seminars, a web site, and other benefits to members. We are the organization that certifies veterinary technicians in the state. For more information on becoming a Certified Veterinary Technician (CVT), please visit our certification web page.